Marilyn J. DePalma, 88, of Middletown, went to be with the Lord on Sunday, February 10, 2019. She was born in Excello, Ohio on January 17, 1931, the daughter of Lester and Margaret Miller. Marilyn was dedicated to her family and making a loving home for them all. She adored her grandchildren and her pets as well. 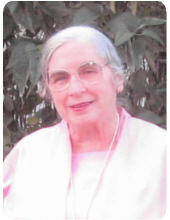 She was a member of Holy Family Parish - St. John's Church. Her faith was a very important aspect of her life. Mrs. DePalma is survived by her son, Anthony James DePalma; daughters, Margaret DePalma, Constance (James) McGlothen & Christine (Jamie) Beckett; brother, Jesse (Janet) Miller; five grandchildren, Matthew (Amanda) McGlothen, Amber (Tyler) Williams, Scott (Kristyn) McGlothen, Tyler Beckett & Alyssa Beckett; and seven great grandchildren, Cameron, Mason & Jaxon McGlothen, Evan, Brooke & Grant Williams & Dylan McGlothen. She was preceded in death by her husband, Anthony Joseph DePalma in 1988; parents; sisters, Arlene Shrout, Alma Miller & Ruth Federle; and brothers, Melvin & Wade Miller. Prayer Service will be held Thursday, February 14, 2019 at 2:00 pm at Wilson-Schramm-Spaulding Funeral Home, 3805 Roosevelt Blvd., Middletown with Deacon John Lyons officiating. Visitation will be prior to the service from 12:00 - 2:00 pm at the funeral home. Interment will be at Woodside Cemetery. The family suggests that memorial donations be made to Holy Family Parish, 201 Clark Street, Middletown, OH 45042 – OR - Crossroads Hospice (Dayton), 8069 Washington Village Drive, Dayton, OH 45458. To send flowers or a remembrance gift to the family of Marilyn J. DePalma, please visit our Tribute Store. "Email Address" would like to share the life celebration of Marilyn J. DePalma. Click on the "link" to go to share a favorite memory or leave a condolence message for the family.